More from Ora: Chris Noth: Trump is a "pathological liar"
Reflecting on his time on ‘Celebrity Apprentice,’ chef & restaurateur Curtis Stone says Donald Trump clearly enjoyed being the boss, as evidenced in part by the fact that his staff referred to him as “Mr. Trump” rather than by his first name. Larry King: You were on “Celebrity Apprentice” six years ago. What did you make of Donald at the time? Curtis Stone: Look he was an interesting guy because we sort of – it was such a bizarre experience for me. It was the first time I’d done anything like that. And being on that show you literally play the game everyday, and Trump was the ringmaster of the game. So he was relatively jovial, you know? He liked being the boss, so even his staff would call him Mr. Trump, which is quite an unusual thing, you know? You don’t see that very often these days. But I think it’s… I didn’t have a lot to do with him during the show. Larry King: Did he fire you? Curtis Stone: He did fire me, yeah. Larry King: What kind of President – what kind of President do you think he’ll be? Curtis Stone: Look I think it’s going to be interesting to see how it unfolds, you know? I mean, he’s sort of, there’s no political correctness about him at all. Is that a good thing or a bad thing? I think it would be better to have a little more diplomacy when you’re having to deal with different nations and different cultures, and I think that we should be aware of who we are in the world and respectful of others within it. Larry King: Have you been to Australia since he was elected? 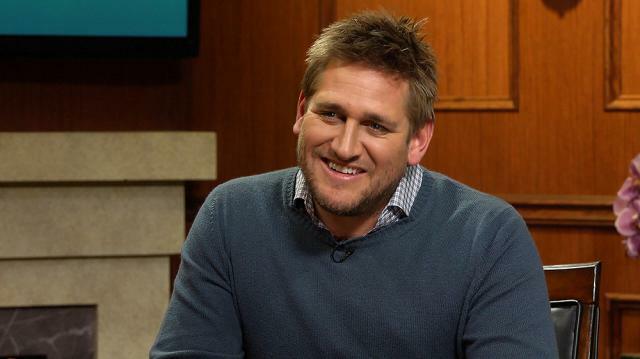 Curtis Stone: I have, yeah. Larry King: What do they think? Curtis Stone: The reaction in Australia was surprised, I think is a good way of describing it.